Alternatively, payment can be by cheque or cash or by invoice; more information on these options is below the PayPal ‘Buy Now’ buttons. 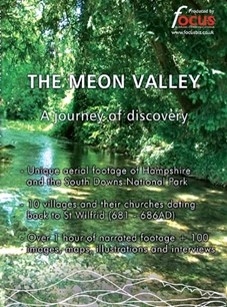 The DVD was commissioned and produced, with funding from our heritage partners (see below), by a Meon Valley charity – The Friends of the Saxon Church (AD1020) at Corhampton. 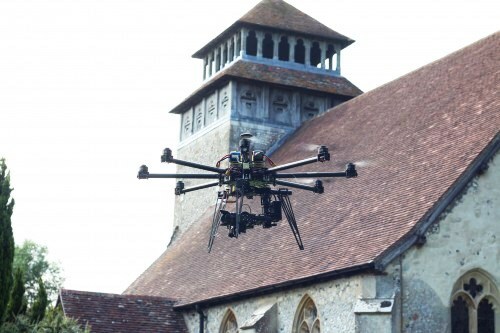 Creative production and direction was by Focus Business Communications and Cambridge UAV, in consultation with communities of the Meon Valley, historians, archaeologists, champions of the river and its landscape and educationalists. 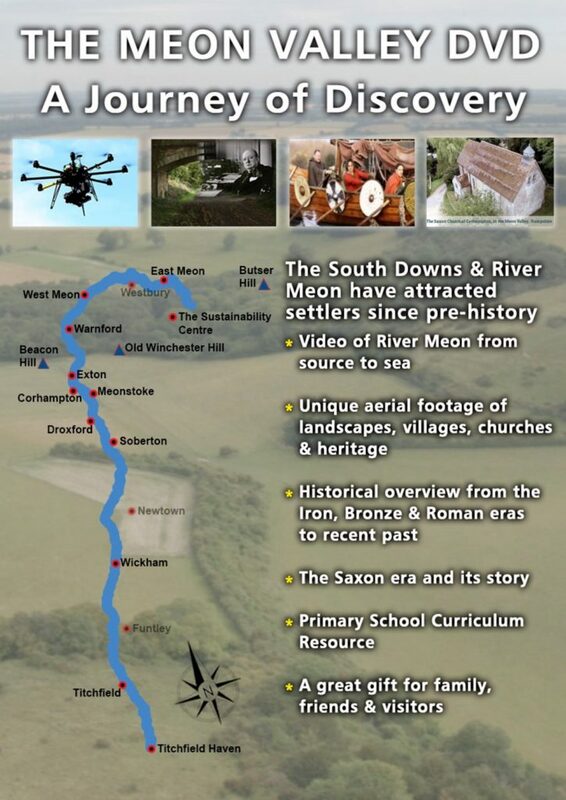 The DVD is an ideal addition to the ‘coffee table’, a gift to share with family, friends and visitors and a valuable primary curriculum resource. A blog, with photos and interviews, of the making of the film and its official launch, is available on the website of Focus Business Communications, the company making the film; see Making the Film We thank Hampshire and Winchester Councils, The South Downs National Park Authority and the Heritage Lottery Fund for grants to enable us to make the film; and Regia Anglorum… and Focus Business Communications (and its unmanned aerial vehicle partner, Cambridge UAV) for their creativity and professionalism is supporting us in this amazing project.